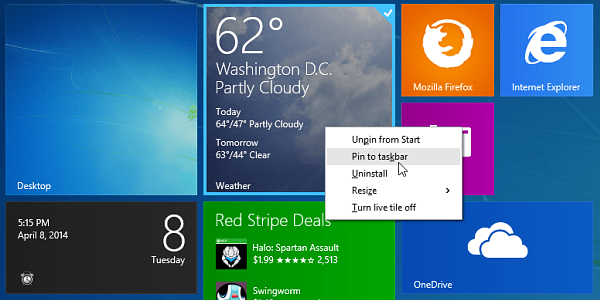 As Microsoft ends support for XP today, it launches a new update for Windows 8.1. The update makes the Modern interface more keyboard and mouse friendly. As Microsoft ends support for XP today, it says hello to a new update for Windows 8.1. On Tuesday the company released the Windows 8.1 update for all users via Windows Update (formerly called Service Packs). While it’s not as revolutionary of an update as moving from Windows 8 to 8.1, there’s some important tweaks that make the user interface much more keyboard and mouse users. Note: Update 1 or KB2919355 is not optional. Moving forward you’ll need it to get next month’s security updates as well as all other security, stability, and feature updates. 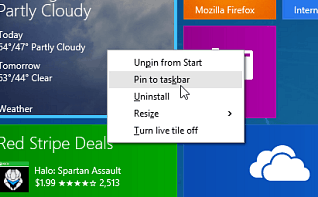 Some of the new features allow you to easily pin Modern apps to the taskbar, split windows to the left or right of the screen, return of the title bar for Modern apps, SkyDrive rebranded to OneDrive, and more. Another important change worth mentioning is it will automatically boot to desktop when you install it on a traditional non-touch computer. No need to go in and change that manually like before. This update doesn’t include the Start Menu that was previewed during the Build developer conference, but should make consumers feel more comfortable using the Modern interface. We covered most of the new user interface changes in our article: What to Expect from Windows 8.1 Update 1 and we got more in depth with the Taskbar with: New Windows 8.1 Taskbar Features for Modern Apps. With the Windows 8.1 Update, Microsoft also released a slew of updates for Office that you’ll be sure to want to download too. If you’re new to Windows 8.1 updates are set to automatically download by default. But if you want do it manually, go to Settings > Change PC Settings > Update and Recovery > Windows Update. 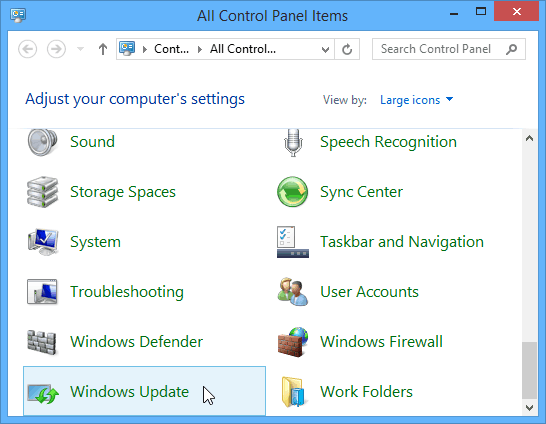 Or for those of you not keen on the Modern interface at all, you can still update Windows from the desktop by opening Control Panel and selecting Windows Update. Regarding the title bar for Modern apps: It lets you minimize the screen, and drag them around easier, but they still open full screen. And you can’t resize them and run them in the desktop environment. If you want that capability, check out our review of ModernMix from Stardock. Although, in my experience, since the update, ModernMix works a bit goofy. Hopefully there’s an update coming for it. Too little … too late. Why is MS wasting its time on 8? They should be working on 9 and get the bad taste out of people’s mouths. Installing now…. 887.6 Megs Total — Yeah, that’s a big one. Not as large as some of the Service Packs in Vista or Windows 7 for that matter. (1) Is the “new 8.1” likely to install without hitches on my Windows 8 installation? (2) If I install the “new 8.1” will it have an adverse effect on my Fences installation? @Konrad Poth: I’ve been using Fences on my Windows 8 system since the developer Preview, and after every update, I have had no problems with it at all. However, I also have ModernMix, and with the new way the 8.1 Update uses the title bar in modern apps, it ends up conflicting sometimes. But I’ve updated 8 to 8.1 to 8.1 update on about 10 machines and haven’t any problems yet.